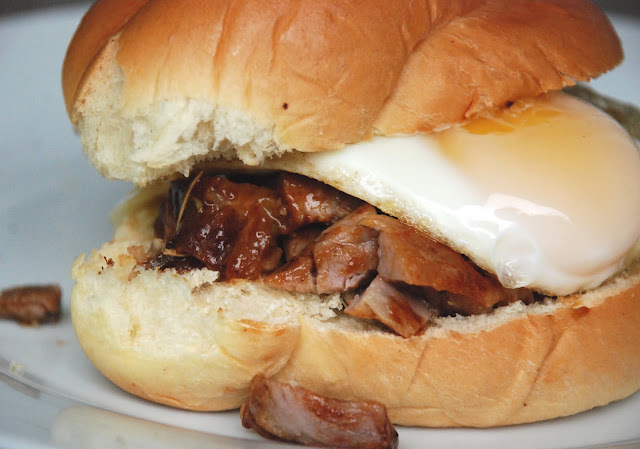 Another ultimate leftover barbecued rib breakfast– an open-faced sandwich with a sunny-side up fried egg. This was delicious and I would definitely make it for an easy breakfast if I didn’t have a lot of time to cook. This takes all of five minutes to put together.